NEO, February 2012 - Meet blues rock musician Jon Christopher Allen! Among an array of eclectic Greek-American performers circling ongoing open mics, festivals and local hip venues in and around Astoria this spring, hopefully you will catch blues rock/R&B musician, Jon Christopher Allen (www.jonchristophermusic.com). Who could miss a strikingly handsome, single, soft-spoken, soulful singin’, mean-strummin’, singer-songwriter? To top it off, this humble talent stands tall on stage at 6 foot 5 inches! We first met while we were performing at a fundraiser for the Japanese Red Cross at Waltz-Astoria. 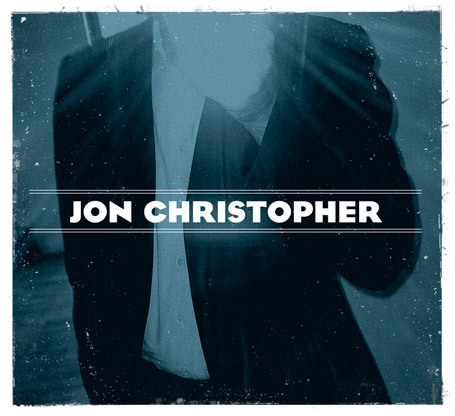 He was playing his guitar, tapping his tambourine and singing hits from his third record on iTunes, the newly released album “Jon Christopher”. He complimented my poetry reciting and I was tongue-tied by his “Save Another” lyrics, “Give what you want to someone else, save another and you save yourself”. As artists in a land of free speech but with so many locked jaws, we couldn’t help but be grateful to be blessed with a safe place to gather, plug in an amp with a microphone, and share our creativity for a purpose. His lyrics from “You are Alive” emphasized that. “Be amazed by what you’re seeing, a little baby sleeping whose care is in your keeping, they’ll soon be repeating everything they see, so be something to believe in. When you get so mad you’re seething, don’t forget to breathe in. There’ll always be a reason to be hateful, you only need one to be grateful…you are alive.” “You are Alive” was also featured recently on Hellenic Public Radio, Cosmos FM WNYE 91.5 to raise awareness for the NY Organ Donor Network. I was born and raised in this cozy hood of Astoria, and amongst the many gifted musicians I’ve been privileged to meet, I am honored to have sat down for an intimate interview with someone whose album I cannot stop playing. Jon Christopher is filled with riveting raw passion when he sings, and honest, blood pumping lyrics. He plays electric and acoustic like its second nature to him. His new album is one you get up and dance to, and sit down and cry to (I actually did both, I swear). With so many local artists around here lately, many music fans, including myself, are inspired to find these big fish in our small pond before they drown, so we go fishing for them all season long. So far he’s toured in Austin & Buffalo and opened up for the legendary Chuck Negron of the band Three Dog Night. I, along with his growing fan club in NYC, always look forward to seeing him perform. “What I can tell you about Jon,” says Pedro Gonzalez, Art Director of Waltz-Astoria, “is that Jon is a loyal supporter of Waltz, he’s got talent, one of the most polished singers we’ve had here and he puts out his emotions every time he performs; he is passionate and loves his music. 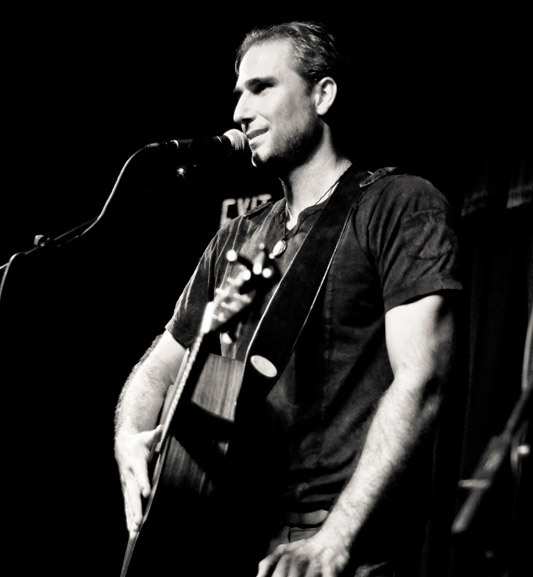 We are grateful to have Jon perform here.” Jon Christopher Allen and his band’s next show is at Waltz-Astoria (Ditmars Blvd/24th St) Friday April 27th at 9:00 PM – 9:45 PM. Jon, when or what event lead you to create music? Growing up, I spent a lot of time at my grandparents in Long Island, NY and they had a guitar. The first time I started to play it I wrote a love song in ten minutes, “…her shining light has set me free…” I was 13 or 14. I thought it was so much fun to write. Yes, but I don’t speak Greek. As a kid my parents sent me to Greek school, but I would sleep in class. I totally regret it now! LOL. My grandparents are from Anavriti, Greece, near Sparti. My mom is from Carle Place, LI and my dad Jamaica, Queens. My parents owned a café in New Hyde Park (Fredericks) while I was growing up and I worked there sometimes with my two sisters. My mom’s now a certified art teacher for PS 19 in Corona. My parents are very supportive of me and come out to see all of my shows. Which musicians inspired you and who would be on your playlist now? Cat Stevens, Queen, Harry Chapin, Billy Joel, the Black Crowes, Counting Crows, Seal, Pearl Jam, U2, Sarah McLachlan, and Joan Armatrading. On my playlist now, I like The Black Keys, Lynx, D’Angelo, Portishead, Kings Of Leon, Arcade Fire and MGMT. I live in Astoria and I’ve also worked in Astoria for the last 9 years at Lyons Mortgage as a loan officer. I’m from Glen Cove, LI where I was born and raised. Back in the day, I was a really bad student in Glen Cove High School, but I loved playing tennis. So, I left when I was 17 years old to go to the Nick Bollettieri Tennis Academy in Bradenton, Florida. After that, I was recruited to play tennis at Central Connecticut State University and received all A’s for 2 years and soon I was recruited to the College of William and Mary in Williamsburg, Virginia where I also studied music. After another year of tennis, my back and shoulders were hurting and then it was no longer fun, so I didn’t want to play anymore. Kind of like music…you need to keep the fun in it. From there, I went to the Omega Institute’s work-study program for 5 months, then to Austin, Texas, where I lived for 4 years and recorded my music. There’s a great vibe there. When I came back from Austin, I started working at Lyons. Coming from the Austin music scene, working for a bank crunching numbers was a bizarre experience for me. It’s a stressful industry, but I’m happy helping people make their dreams of buying a home come true. It’s been an overall good experience. Most of the money I make now, I invest into my music. Tell me about this album; is it your first one? No, this is my third album. I invested at least a year into writing it. My first two records were “Heavy” and “Only Human” which had musical contributions from Manola Badrena (Rolling Stones, John Scoffield), Mark Ambrosino (Stevie Wonder, Whitney Houston) and Dave Eggar (Pearl Jam, Josh Groban). This one, titled “Jon Christopher,” was mostly done in Austin, Texas. It was produced by Billy White, a well known musician from Austin (formerly of the Billy White Trio). JJ Johnson was on drums (he’s one of the better rock & roll drummers and was once part of the John Mayer Trio). The record was mixed in Austin by Dave Boyle, another talented musician. Dave bought an abandoned church on the East Side of Austin that was just sitting there for years and he renovated it into a beautiful recording space called Church House Studios. Sasha Ortiz, Tameca Jones, & Pam Miller were great on backup vocals. The recording time for the whole record was stretched out over about 7 months. Do you have a band now, or are you a solo singer/songwriter? A little bit of both. I never really had a “band”. After my second album, my co-producer Chris Liberti introduced me to a bassist and a drummer in Astoria, Jason Dimatteo and John Bollinger. We performed a lot at places like the Knitting Factory and The Bitter End in Manhattan. We played out 2 or 3 times a month for 2 years. Every gig cost me a couple of hundred bucks out-of-pocket to pay my musicians. Some shows packed 100 people and some were 10, but we had really great moments and I got better at performing. Lately, I love to play with some new great musicians: Pete O’Neill on bass, Johnny Task Burgos on percussion, Dave Zerio on Keyboards, and Oneika Jewelle on vocals. Some NYC gigs have been at The Living Room, Hill Country, LIC Bar & Spike Hill. If you could open up for any artist who would it be? What kind of advice do you live by? What song would you sing in the shower? It depends on the time of day and phase of my life…LOL, lately I like Adele’s song, “Rolling in the Deep”. What is your vision 10 years from now? I would like to be making a living with music, be able to do it my way, create the songs I like, have a core following, enough to support my career, you know…having a family, a house, security…some kind of nest, that would be the ultimate.